* INDIVIDUAL KITTEN ADS WILL BE ACCEPTED… ONE KITTEN PER LITTER. PLEASE NOTE: RFCI breeder members do sign a Code of Conduct to qualify for membership. However, we make no representations or warranties with respect to the breeding or business practices of any of the persons included on the RFCI website. Please check out breeders before you buy. 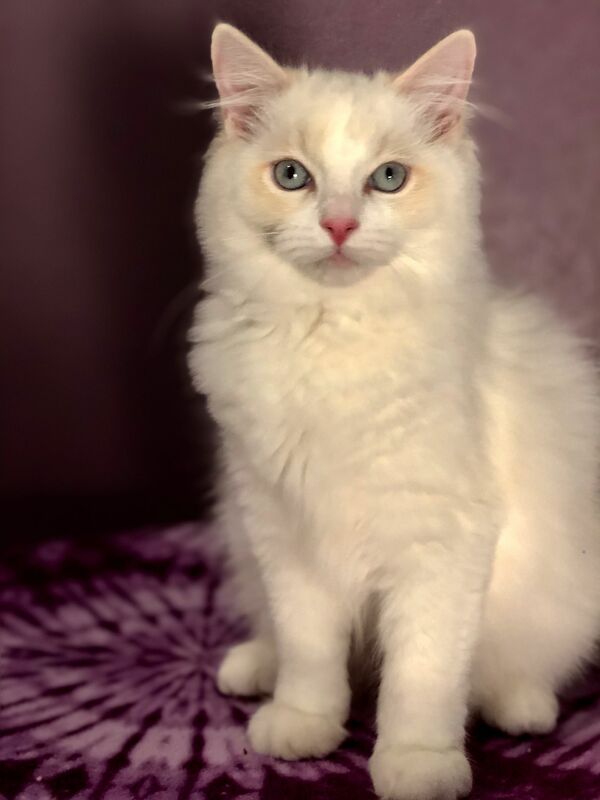 Additional Notes: Beautiful kitten, up to date on shots, dewormed, spayed, TICA registered, health guarantee, ready to go. Please fill out the kitty application on our nursery page. Additional Notes: This red bicolor boy has had his shots and has been neutered. He is ready to enjoy playing and loving his new family. More pictures at www. romancenrags. 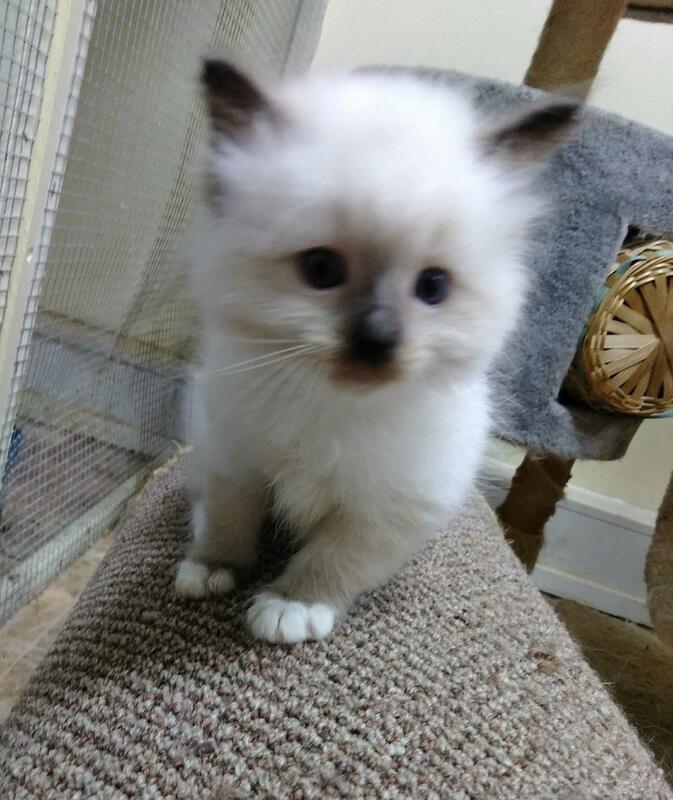 com on the available kittens page. 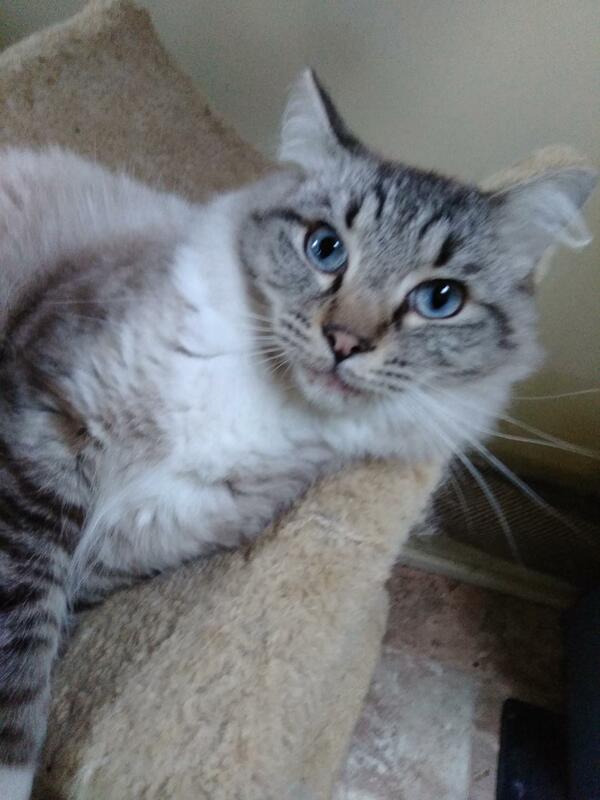 Additional Notes: Dylan is a blue mitted lynx point ragdoll. 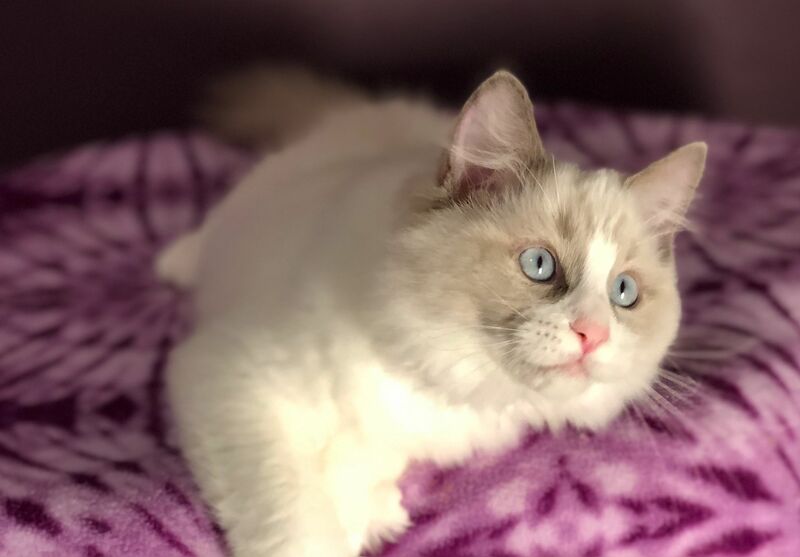 Dylan is extremely loving; the very epitome of a ragdoll cat. 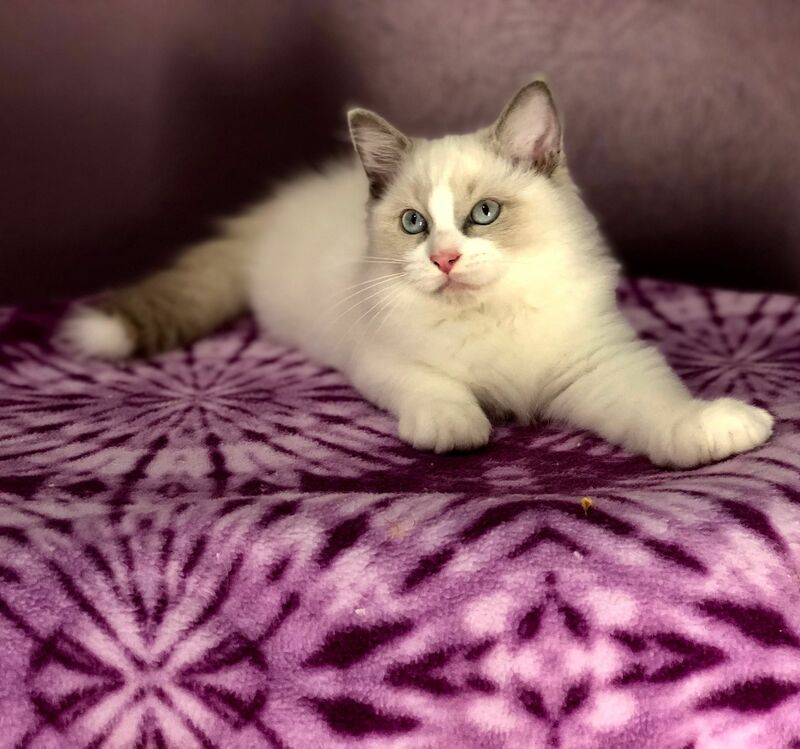 Although I believe he would do well in any household, I know he would make a wonderful companion for a single person or an older adult or couple because he loves one on one attention. He is healthy, up to date on shots and neutered. Please email grenache@yahoo.com or text to 646 597 1712. Additional Notes: Four kittens available for deposit. 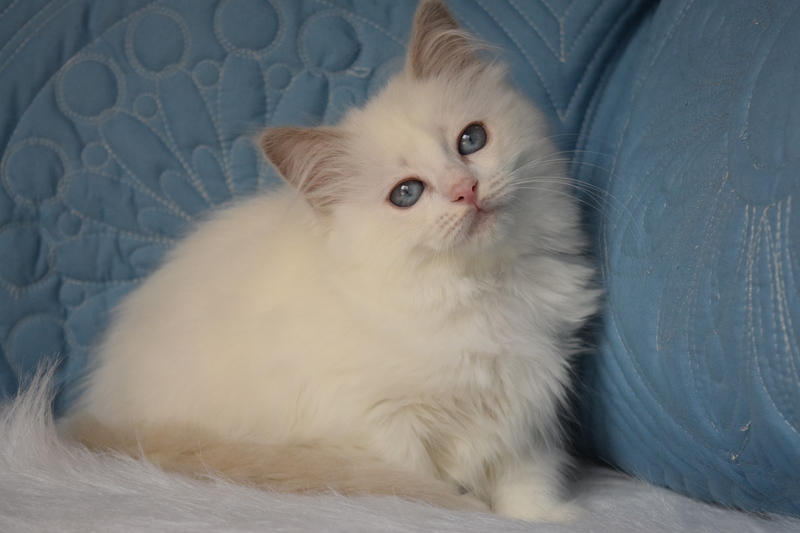 – flame point male, seal point girl, blue mitted girl and a blue mitted girl. 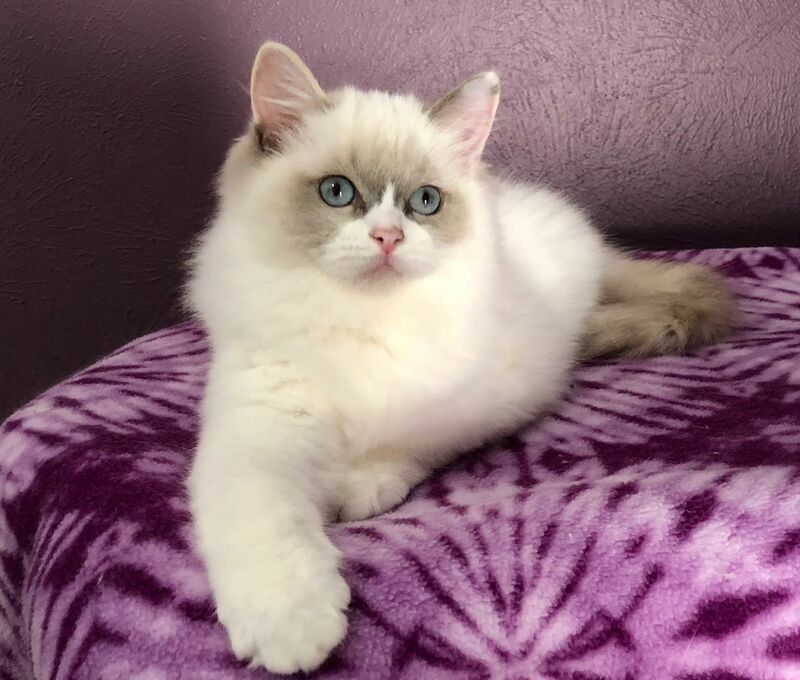 The blue mitted girl is adorable and healthy but born without a tail. Photos will come when kittens are a little older. Kittens will be ready to leave mid-end December. Kittens are vaccinated, vet checked and health guaranteed. Please email grenache @yahoo.com or text to 646 597 1712 for more information. 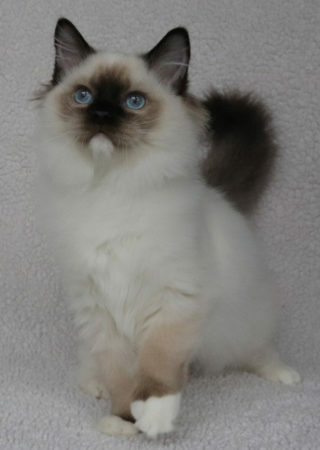 Additional Notes: A male seal point kitten and a female seal mitted kitten are available for deposit. The little girl is very well marked. These kittens will be ready for new homes at the end of November. Vaccinated, vet checked and health guaranteed. New York tri-state area. email grenache@yahoo.com or text to 646 597 1712. Please see my website for more info and pictures.